Vancouver's Teck Resources Ltd. has sold a 30 per cent stake in its Quebrada Blanca Phase 2 copper project in Chile to Sumitomo Metal Mining Co. Ltd. and Sumitomo Corp. for $1.2 billion US. Teck Resources Ltd. has sold a 30 per cent stake in its Quebrada Blanca Phase 2 copper project in Chile to Sumitomo Metal Mining Co. Ltd. and Sumitomo Corp. for $1.2 billion US. The Sumitomo deal will reduce Teck's estimated share of remaining contributions to build the mine to $693 million. 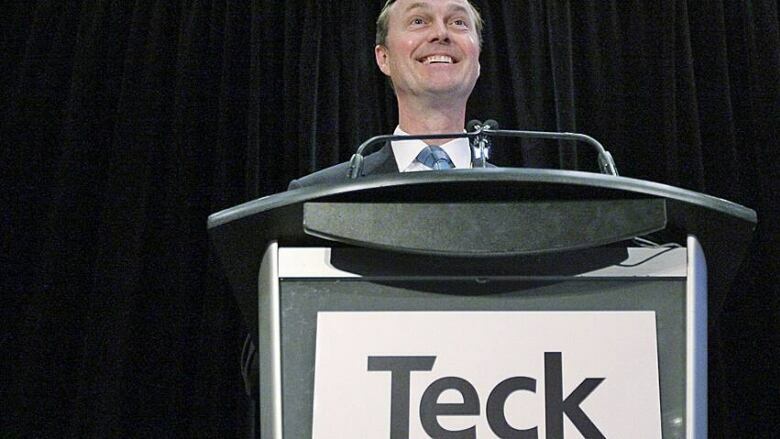 "QB2 is one of the world's premier undeveloped copper assets and this transaction further confirms the value of the project," Teck's chief executive Don Lindsay said. "This partnership significantly de-risks Teck's investment in the project, enhances our project economics and preserves our ability to continue to return capital to shareholders and reduce bonds currently outstanding."